Last week, an intriguing, new film trailer arrived, receiving immediate online buzz. It caught our attention here at Brave New Hollywood too; especially when we recognized the familiar name and face we have not heard from in a while. Now, we know why. The man behind the project has been busy venturing into new, creative territories. Actor Alex Pettyfer (ELVIS & NIXON, MAGIC MIKE) returns to the movies, this time as a director with BACK ROADS. The film had its world premiere at the 2018 Tribeca Film Festival. Pettyfer who stars in the film has managed to cast fellow talented thespians like Jennifer Morrison (TV’s Once Upon a Time), Nicola Peltz (TRANSFORMERS: AGE OF EXTINCTION), Chiara Aurelia (GERALD’S GAME), Hala Finley (TV’s Man With a Plan), June Carryl (SWEET NOVEMBER), with Robert Patrick (TV’s Scorpion), and Oscar nominated Juliette Lewis (AUGUST: OSAGE COUNTY) to co-star with him in his first attempt as a feature film director. The reviews, so far, have been positive. Dan Callahan of The Wrap calls it an accomplished debut by Pettyfer as a director. Another achievement is Pettyfer’s ability to get the rights to the New York Times bestselling novel penned by Tawni O’Dell that the film is based on. The book garnered attention as a selection in Oprah’s Book Club. So far so good! The right boxes are being checked. A premiere at one of America’s most prestigious film festivals, Tribeca is a great kickoff as well. 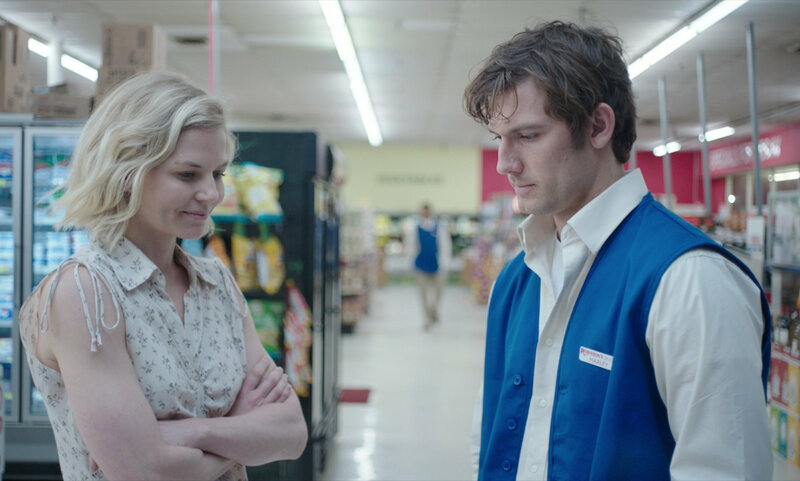 Alex Pettyfer (as Harley) is infatuated with Jennifer Morrison (as Callie), in the upcoming noir, thriller, BACK ROADS which is directed by Pettyfer based on the bestselling novel by Tawnie O’Dell. BACK ROADS explores the impact of family trauma in a visceral, noir thriller genre of filmmaking, and judging by its trailer with carefully selected images, it is effective in luring the audience in. Its first twenty seconds, with strong visuals of a crying mother in prison (played by Juliette Lewis), emotional, tearful faces and arriving to Harley (Pettyfer) voicing “everything is not OK” made us sit up and keep watching. That is what a good film trailer does – without giving the whole movie away, please! What’s BACK ROADS, the film directed by Alex Pettyfer about? Tormented by his past, Harley becomes infatuated with Callie Mercer (Jennifer Morrison) a married, older woman who lives nearby. Things take a dangerous turn when they embark on an affair and shocking family secrets soon begin to emerge. As Harley’s life spirals out of control, unspoken truths leading to a devastating conclusion come to the surface and threaten to consume him. Written by O’Dell and Adrian Lyne, Alex Pettyfer’s BACK ROADS opens in theaters and on VOD on December 7, 2018.